The campsite is situated in the Narmada District. It is 28 kms from Rajpipla towards Kevadia Colony at the Narmada Dam site. It is 7 kms from the Thawadia checkpost. It is situated inside the Shoolpaneshwar Wildlife Sanctuary which is home to a gamut of flora & fauna. The wildlife attarction include leopards, wild sloth bears, hyena, various species of Deers and wild dogs. One can also see the rhesus monkey and the barking deer or muntjac which are rarely found in other parts of the country. One can arrange for day picnics or treks with the help of the forest department, with the forest, waterfalls and other natural beauty within easy reach. Other sightseeing areas nearby include the Zarwani waterfalls, the Shoolpaneshwar Temple, the Gheer Khadi. 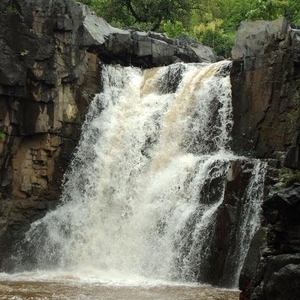 Here's the our members favorite photos of "Waterfalls near Rajpipla". 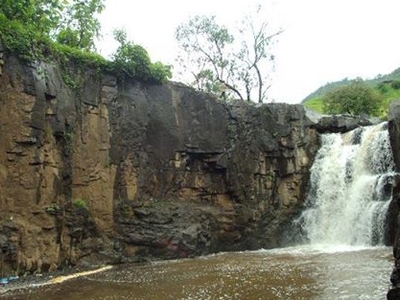 Upload your photo of Zarvani Waterfall!